The Jeff Lorber Fusion is back! Just when you thought that Jazz-Rock Fusion was defunct, or even worse, dead, Grammy-nominated Keyboardist/Composer/Producer Jeff Lorber has breathed new life into it, bringing back killer grooves, funky bass lines, sultry saxophones, and wonderfully rich melodies all woven together into a tapestry of Jazz, Funk, R&B, Latin, Dance, and House. 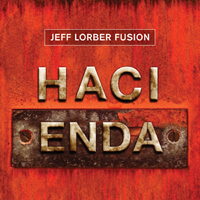 Lorber’s new release, Hacienda, is co-produced by bassist extraordinaire Jimmy Haslip (of Yellow Jackets fame) and features a veritable “who’s who” of contemporary Jazz and Fusion players. Back in the late 70’s, The Jeff Lorber Fusion got this reviewer’s attention when the pioneering keyboardist came out with the eponymous The Jeff Lorber Fusion, which took the music world by storm. TJLF continued to make cutting edge Jazz/Rock/Pop Fusion music for more than five years. After fourteen solo albums, some of which helped put smooth Jazz on the map, Lorber brought back The Jeff Lorber Fusion in 2012 with Galaxy. 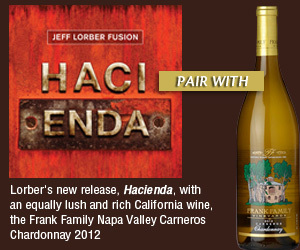 Now, one year later, they are back with Hacienda! The kickoff is a very spunky and upbeat Corinaldo, which may indeed remind the experienced Fusion listener of Weather Report and Joseph Zawinul. It features a killer solo by Lorber and excellent tenor sax solo by Eric Marienthal. Solar Wind features guitar virtuoso Larry Koonse, and features some super-slick drumming by the one and only Vinnie Colaiuta. Super fun and super funky. The only “cover” on the record is King Kong, written by the late, great Frank Zappa and features Zappa alumni Jean-Luc Ponty, Vinny Colaiuta, and marimba player Ed Mann. Ponty’s violin sounds as good today as ever. His chops and tone are flawless. This funky, syncopated romp in 6/8 is a wonderful tribute to one of Rock music’s greatest innovators! Lorber shows his brilliance in balancing just the right amount of the Zappa original with this modern sound. 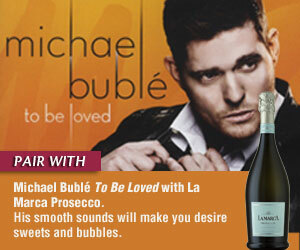 This song is a delight for your musical senses. At this point, the band slows it down a little with a sweet and sultry sax-driven ballad, The Steppe, born to be on the radio! Lorber’s cascading keyboard work is rich and sweet, and the light, masterful percussion work of Lenny Castro is a fantastic touch. Like icing on the cake. The title track features Jimmy Haslip at his best, thumping a low, fat, and funky bass line that drives this song right along and will make you move (or maybe drive too fast!) The melody screams “remember me”. And you will. This may be the song that sticks on Jazz radio’s play list. Fab Gear is an R&B lover’s delight, with a sweet bass line and gorgeous interplay between Marienthal’s alto sax and Lorber’s Fender Rhodes. Raptor keeps the momentum of the record swinging along, keeping your interest, right into Everlast, which will definitely please the Jazz lovers out there. The rhythms and melodies are wonderful and unpredictable, and Lorber’s electric piano solo wows. Rounding out Hacienda are the Latin-tinged ballad Playa del Falco, and the soulful, horn-driven Escapade reminiscent of Tower of Power, War, or a good Quinn Martin Production car-chase scene. The final song is Dragonfly, a 16th-note driven ditty featuring groove master Dave Weckl on drums, and features a bass clarinet solo by David Mann, who did all the horn arrangements on Hacienda. Longtime Disney executive Rich Frank started Frank Family in the early 90’s with world-renowned winery owner Koerner Rombauer, famous for his killer California Chardonnays. In 2007, Rich Frank bought out Koerner and today the family runs the show, with the ever-talented Todd Graff, formerly of Phelps, Schramsberg, and Stag’s Leap Winery, at the wine making helm. His style is not bashful. The Chardonnays are powerful and tropical, with notes of ripe peach, pineapple, butterscotch, and pear rounded out by spicy fig, vanilla, cinnamon,and white floral notes. The wines are aged sur lie for 10 months in French Oak (one third new, one third used once, and one third used twice). The wine undergoes 100% malolactic fermentation to give it just enough acidity, a creamy mouth feel, and a persistent finish. 40,000 cases were made, so better get some quick.